It’s almost Valentine’s Day and to celebrate,. I thought I would show you how to make a beautifully romantic ruffled rose with a subtle difference: it is in the shape of a heart! 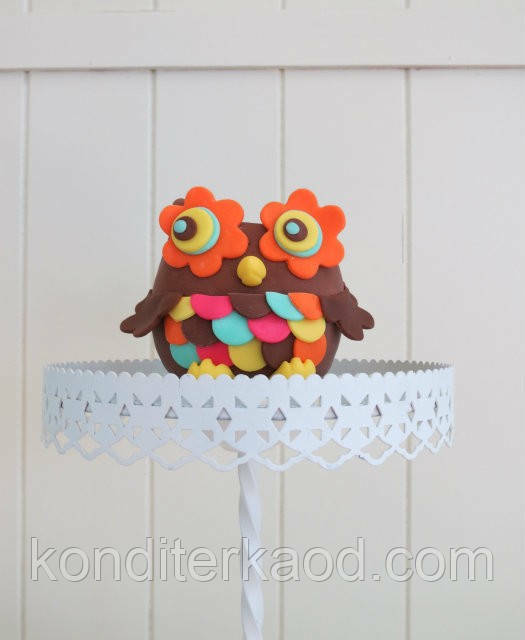 These pretty little decorations can be used as cupcake toppers, placed around the sides of an iced cake or supported by a straw or skewer and used as a cake topper. Roll out the fondant to approximately 3 mm thick and cut out circles and heart shapes. You will need two circles for every heart. Place the hearts on a foam mat and gently soften and smooth the edges with your fingers to give a more rounded look. You don’t have to do this step but a) I think it looks nicer and b) if any of your petals rest on the edge of the heart, a crease won’t be created. Brush the first heart with a little water to give a sticky surface. Take a circle of fondant and, using three straight lines, cut off the curved edges with a sharp knife. This should leave a triangular shape and three semi circles, and is the best way I have found to gauge the sizes of the strips you need for the rose petals. For larger petals, start with a larger circle. Take one of the semi circular pieces and soften the curved edge with your ball tool, leaving the straight edge thicker. Don’t worry if you squash the shape slightyl as you are ruffling, you can mould it back to being thicker again afterwards. I used a combination of gentle sideways and outward strokes to achieve this ruffled edge. The process will cause the shape to curve around slightly but this is fine as it will mean that your petal is nice and ruffly when placed in position. Create the centre of your rose. I started to roll the ruffled petal from one end to about a third of the way along, then placed the thick end in the centre of the heart and coiled the remaining petal around it. Stick the loose end down so that the spiral stays in place. Ruffle the second semi circle in the same way as in Step 5. Line up the centre of the petal with the crossover on the first petal, and the wrap the two ends around and stick the ends down. Repeat with the third semi circle, placing it at the opposite side so that your rose starts to take shape evenly. This is where it can get a bit fiddly and you may need to use your veiner, the end of a fine paintbrush or other similar tool to help guide the petal into place. 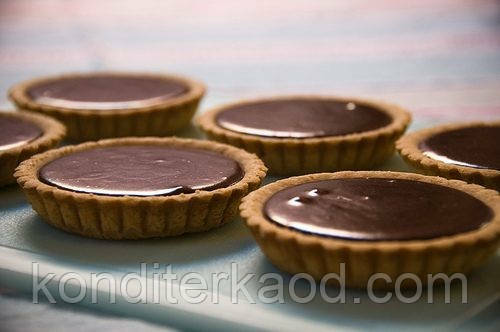 Create slightly smaller petals for the edges. I used the triangle of fondant from before and cut three curves into it. I ruffled each of these and discarded the funky shape that remained. Add the outer petals by layering up the three smaller ruffled petals. I started from the inside and slotted the petals behind each other, but you may find it easier to place the first petal over the edge of the heart and work your way back in to the centre. Use your veining tool to gently lift random parts of each petal to create movement. Take a second circle and cut four semi circles, leaving behind a square. These petals are slightly smaller than when you created the triangle and roughly match the second set you created so that your rose will look balanced on each side. Ruffle each piece and layer three of them as before in Step 9. With the fourth petal, place it at the front of the heart to start to cover the point. You may need to dab a little bit of extra water to get it to stick. Cut a corner off the square and ruffle it into the final petal for your heart rose. This goes at the very front, tucking the thicker end underneath the previous petal to hide the join. Et voila, your heart-shaped rose is complete! 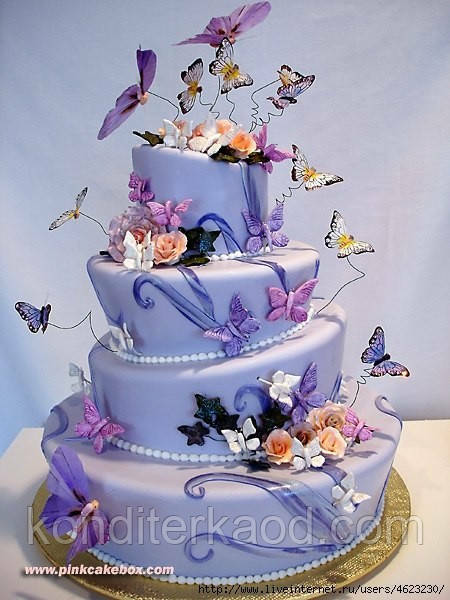 It will be very delicate at first so you may want to let it dry for between a few hours and overnight, depending on how you want to use it (if you are sticking it to the side of a cake, it needs to be sturdy enough to handle but not hold its own weight so you can use it sooner than if it needed to be completely rigid). 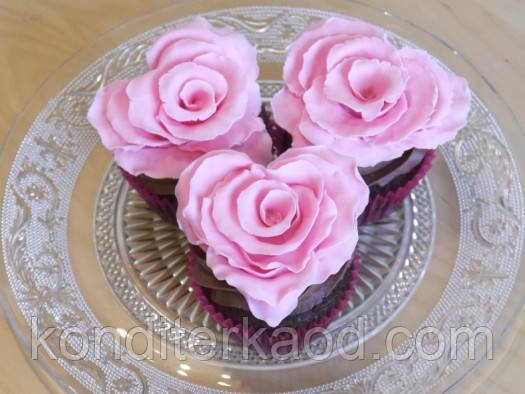 I chose to add my ruffled hearts to some romantic chocolate cupcakes. Therefore, I left them to dry overnight so that they wouldn’t bend over the sides. Мастер класс "Сова из мастики"